Scroll me on down please! I was perusing the bulk spice aisle in Central Market (our sort of hybrid of Whole Foods and a regular grocery store here in Texas) and I see this spice blend called za’atar. I was interested, so I bought a little and googled it. It’s a Middle Eastern spice blend that is often sprinkled on pita and other breads, and it’s a delicious addition to the olive oil and balsamic you may be dipping your bread in before a meal. While typically used on bread, this spice can be sprinkled on anything. And trust me, once you discover it, you will sprinkle; oh yes, you will. If you cannot find za’atar at your local grocer, don’t worry; the ingredients can all be found in any spice aisle. Za’atar is kind of like Indian food in that it really varies from household to household, but the basic recipe includes equal parts of dried thyme, dried oregano, cumin, sesame seeds, black pepper and sumac (though the sumac is optional if you cannot find it) plus salt to taste. Some recipes omit the thyme, some recipes include dried marjoram, so it’s kind of up to personal preference or what you have on hand or what you can find in your local spice aisle. There really isn’t much to this recipe. It spices up cauliflower, which is all too often the unsung hero of vegetables. This dish goes really well with anything grilled, and it’s awesome if you’re entertaining a crowd because it comes together so quickly, so you won’t be married to the kitchen when you should be hanging out with your friends. You can even get everything together in the ziplock up to the night before so all you have to do the day of is put it on a pan and roast it. Preheat the oven to 450. 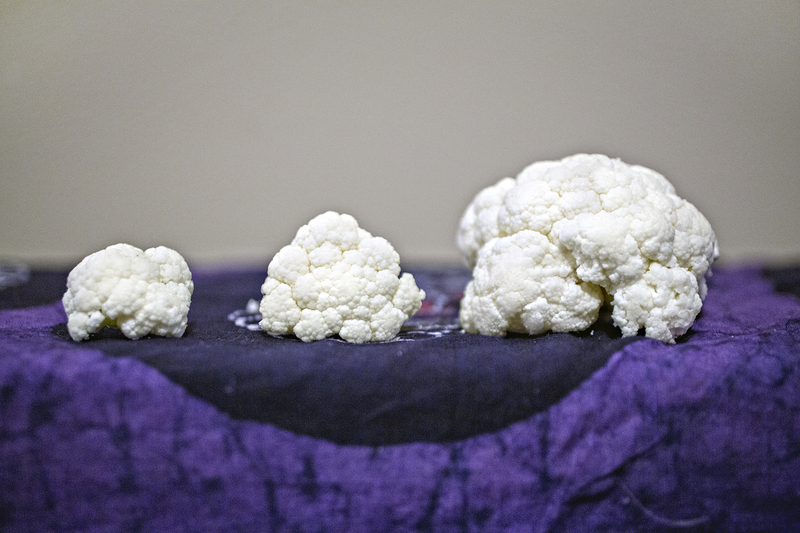 Cut your head of cauliflower into florets that are all roughly the same size. Put them all in a large ziplock. Add the oil, za'atar, salt, pepper and lemon zest (if using). Seal the ziplock and give everything a good shake so the cauliflower pieces are evenly coated in oil and spices. If you want to use a little less oil, you can spray the cauliflower with cooking spray after they are on the pan and sprinkle with the spices. Loosely spread the cauliflower on a foil-lined baking pan and bake in the preheated oven until they are your desired done-ness (about 10 minutes for al-dente). Garnish with parsley if desired.